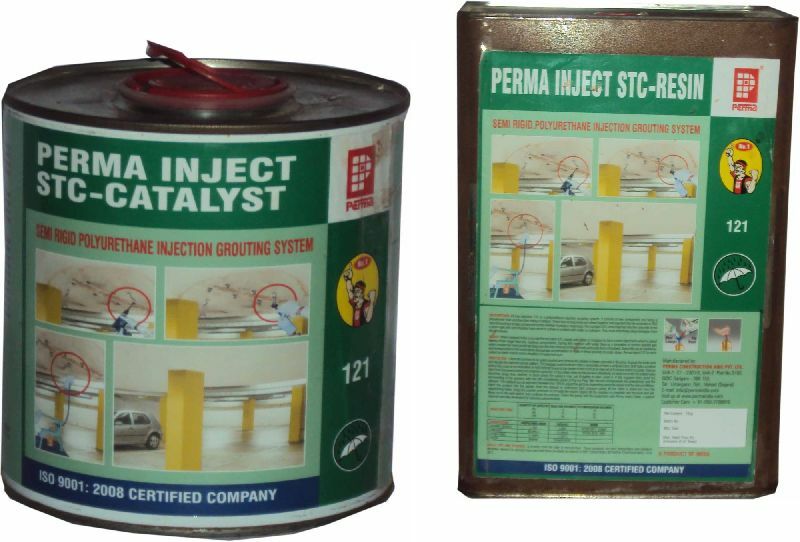 Perma Inject Stc Resin-Catalyst is a polyurethane injection grooting system. It consist of two component one being is pre polymer resin and the other being a catalyst These two components are mixed together and injected into the concrete or RCC structure using a, single component pump whether manual or .motorized. Penna Inject STC when injected into the concrete forms a semi-rigid.and semi flexible foam when it comes in contact 'with water or moisture.This foam effectively stops leakages from the structures. Perma inject STC stops the leakage then and there only instantly, after injection. there is no waiting period to wait for curing etc.